Chesterfield might have been 4-1 winners over Maidstone United but the scoreline wasn't exactly reflective of the game as a contest. 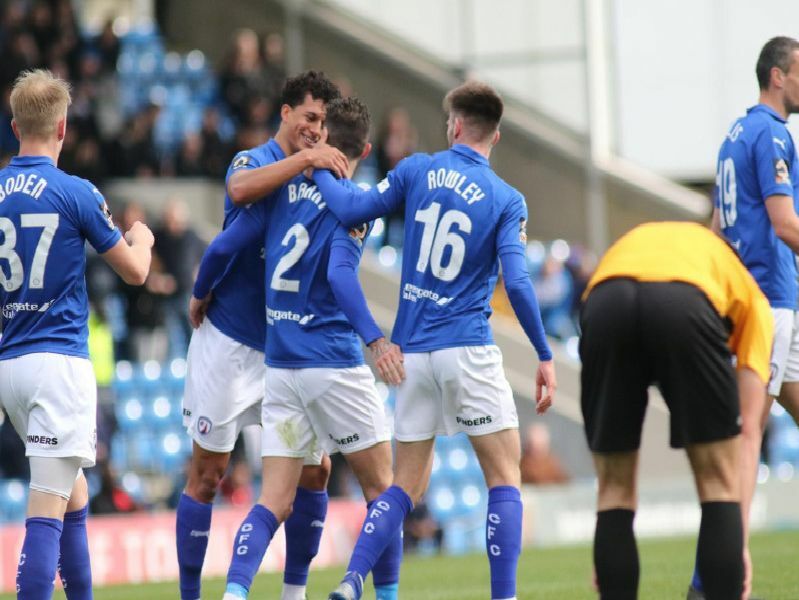 Here's how the Spireites rated individually as they made it 30 points from 15 games under John Sheridan. Joe Anyon - 6 - Distribution wasn't great, but the wind made life difficult. Exposed by defence and beaten in three one-on-one situations but only conceded once. Will Evans - 7 - Steady enough showing. Most of Chesterfield's trouble came down the flanks, not through the middle. Haydn Hollis - 6 - Dominant in the air but pace caused him a few problems. Laurence Maguire - 6 - Scored a wonderful goal. Not at his best on the ball but made some telling interventions.